Posted in Event, Uncategorized	| Comments Off on Victory Party! 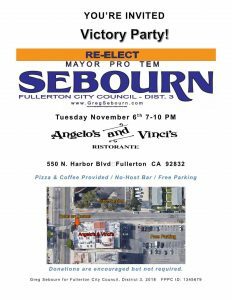 Please donate to Greg Sebourn for Fullerton City Council, District 3, 2018! Every $5 that you donate pays for one election sign. 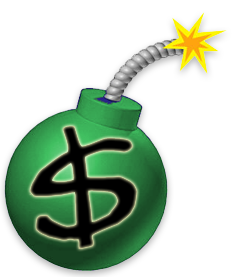 Posted in Event, Press Release, Uncategorized	| Comments Off on October Money Bomb! !